The EOD Explosive Ordnance Disposal Badge is the only badge awarded to all services of the United States. 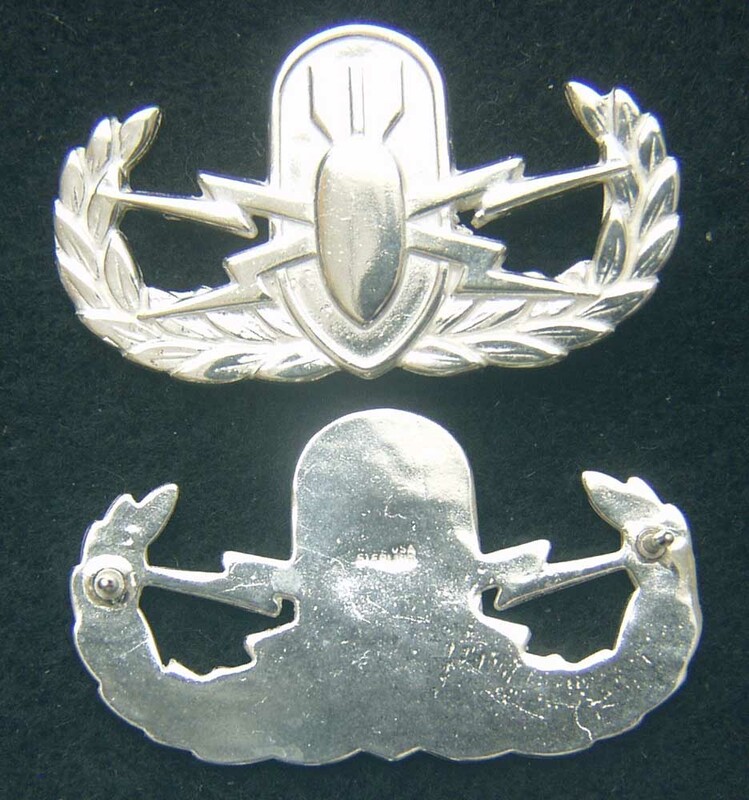 Created in the 1950's the badge is awarded in three levels. This is the Basic version.